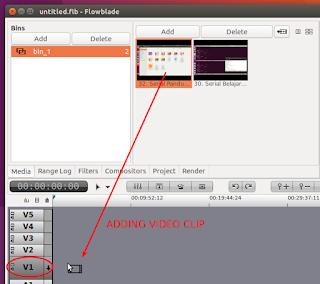 This guide introduces simple steps to edit and produce video with Flowblade video editor in GNU/Linux. This guide includes how to import videos and audios, insert those into timeline, edit the timeline, add filters, and finally render the video. I wish that every new user of Flowblade can do basic video editing by just reading this article. 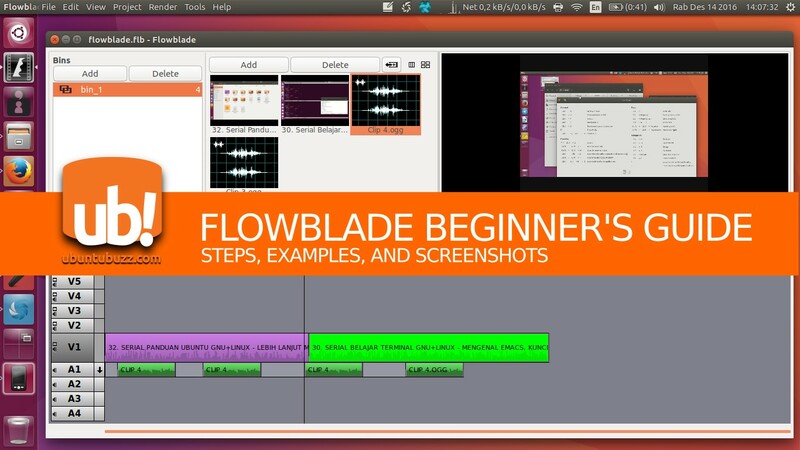 This is the graphical user interface of Flowblade. You may find this is very similar with Adobe Premiere or Lightworks. For just basic editing, you will only use the Media tab, the Timeline, and the Render tab the most. 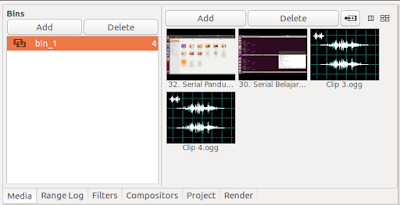 The preview panel is your monitor in Flowblade, showing the temporary result of your editing both for video and audio. You need to see this previewer to make sure your video being editor has no mistake. This is the timeline panel of Flowblade with audio and video clips. This is where you work on the most. 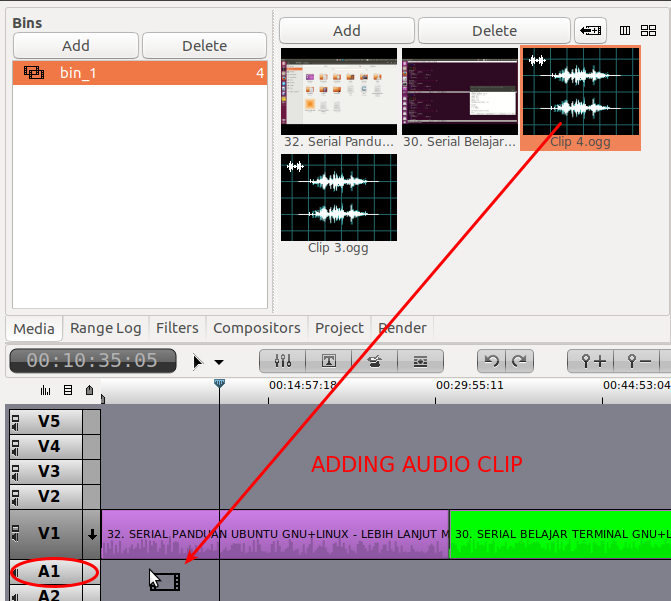 You will place video tracks on the video timeline, and audio tracks on the audio timeline. This tab is very important for a Flowblade user because you import videos by using this. This media tab has two columns typically, right column for the imported files (see the video and audio thumbnails below) and left columns for the "bins" or containers of medias. Beginners will use only the right column for basic editing. You can import video, audio, and image files right into Flowblade from Media tab. See the right column > press Add > select a video file > Open > a video track added. 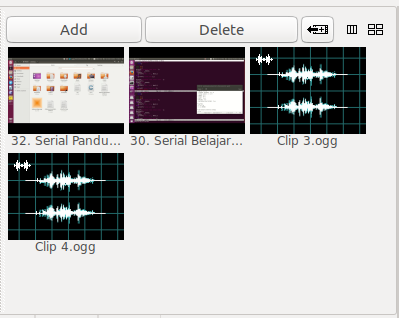 Do the same thing for audio file. You can insert video you have been imported, into the timeline. 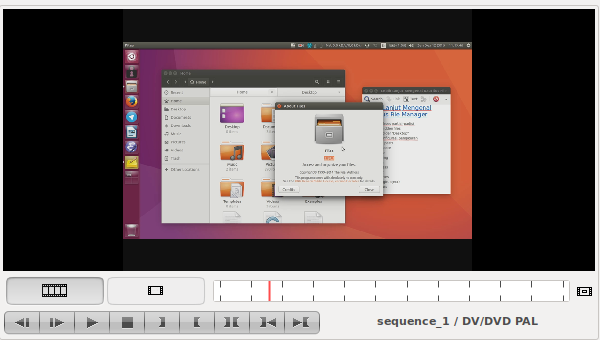 The video file goes to video timeline, and this inserted video becomes a video clip.You may add any number of video. You can insert audio to the audio timeline. This inserted audio becomes an audio clip. In this guide, I added two video clips side by side (meaning the last clip will start right after the first) on timeline V1. I resize each of them half by trimming. One example of editing timeline is trimming (cutting, resizing). 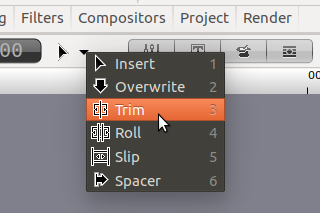 To do trimming, click cursor logo on the timeline panel > select Trim (and your cursor changed into "trim" logo) > click & drag on the video track on the timeline. Press Ctrl+Z to Undo. There are many operations toward clips can be used in video editing, not only trimming, but for this guide I think it's enough as example. Another easy operation you can try is Overwrite, which is moving a clip horizontally on a timeline. After editing, you should render your edited "clips" so you produce the final output video. You can access the rendering settings on Render Tab, it's located at the same row as Media Tab and on top of timeline panel. 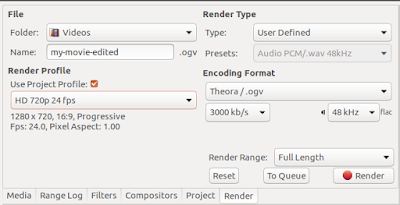 Rendering is a process "to cook" your editing into a final video. 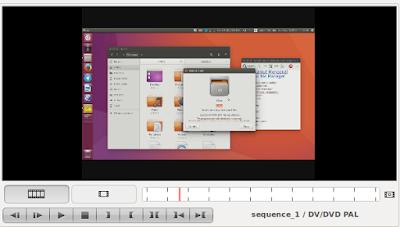 Doing this means you choose the video file name, the output video format, and the video quality. Press "Render" button while you are ready. Then you will wait the process until it's finished. Notice that the speed of this "cooking" process depends heavily on your hardware power. It may takes long time for long video. 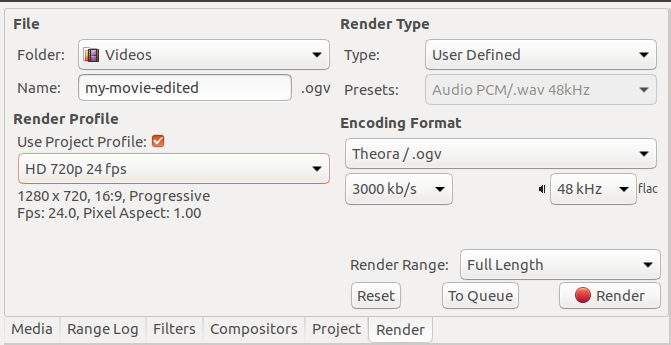 The result of this render process is a video named my-movie-edited.ogv.